The trails in Cumberland, Falmouth, and Windham are very well connected, either by footpath or snowmobile trail. 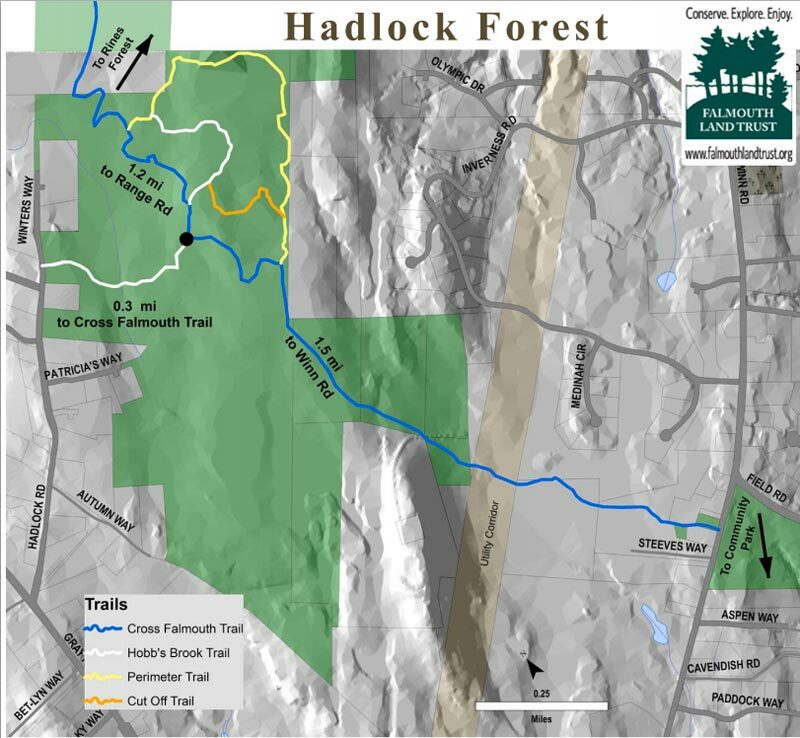 In my map above, Knight’s Pond Preserve is in light blue; Farwell Forest is in lavender; Rines Forest in green; Hadlock Forest in red; Falmouth Town Forest trails in dark blue; and Falmouth Community Park trails in orange. Not shown on this Google map is how this network connects to a trail system on the western side of Route 100, which includes Blackstrap Preserve, North Falmouth Community Forest, and Lowell Preserve. Here is my attempt at a map that roughly shows the multi-town interconnected trail system. From Hadlock Forest, you can go and go and go. The Falmouth Land Trust manages this preserve, and with the town, has done a great job of interlocking many of its trail systems. Directions: I accessed the forest from Range Road in Cumberland. Park at the Rines Forest trailhead on Range Road, about a mile on the left from West Falmouth Road. You can also park off of Hadlock Road 1.7 miles north of the intersection of Mountain and Gray Roads. From the south, turn right on Hadlock Road. Near the end of Hadlock Road there is an entrance to the parking lot on the right. 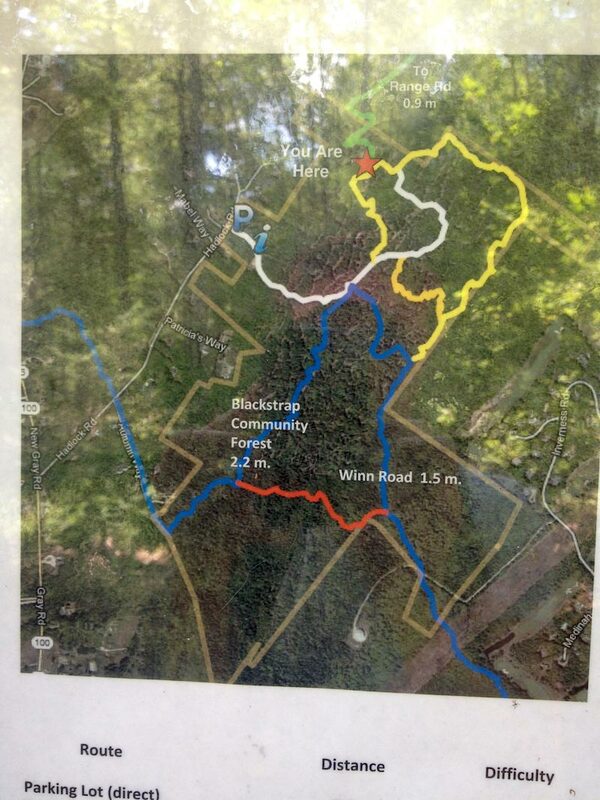 A Third trailhead is accessed via Winn Road about 100 yards west of the intersection of Winn and Field Roads. This trailhead is immediately across from the off-road parking for the Town Forest trails. The trailhead is hard to spot as the entrance is narrow and there is nothing but a very small sign pointing out its location. Parking is on the roadside.